My name is Balázs Fröhlich from Hungary, Pécs. 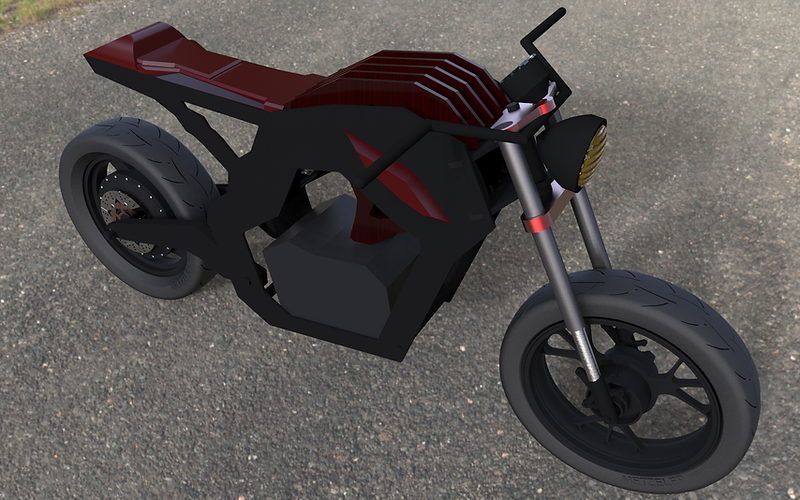 I'm University student, and I want to start my own little manufacture where I could build unique electric motorcycles. Luckily I already find some companies who helped the starting. Here is an article where you can read about the prototype project! But I need an additional support for buying new parts for the first few motorcycle, after we could go into the marketplace. We want to buy some tools for creating awesome videos (like drones), and some marketing tools also (rollup, and so on...). I want to thank every patrons! We really grateful, and I promise that I will design new motorcycles as many as I can! Follow Us and check how this everything going in behind the scene! We want to create unique electric motorcycles. (Mostly 3-300pieces/design) But of course, we offer 100% unique electric motorcycles also. We are using pretty unique design which also means that we are using not ordinary materials such as woods or concrete. The frame is unique also because we are using aluminium boards which are cut into shape by a laser cutter. We using 3D printing also to creating masterpieces for other unique parts. Thank you for starting support our activites! Once, we will send 1 T-shirt . (sizes: S/M/L/XL/XXL) Thank you for supporting! We have some manufacture partner in Pécs, and one of our biggest partner is 1861 Gloves Manufacture, who made unqiue hand-stitched leather gloves. With them we created unique SKART gloves for driving and/or riding! Once, we sent to you 1 pair of gloves! Thank you for your support! We have some manufacture partner in Pécs, and one of our biggest partner is AmellaBag and 1861 Gloves Manufacture, who made unique hand-stitched leather bags and gloves. With them we create unique SKART accesories! Once, we sent to you 1 bag and 1 pair of gloves! Thank you for your support! We would like to create the Sziget Festival Offical e-motorcycle, and for achieving this goal, we need your help! Please support Us!